The rain held off this past weekend for an epic Galactic Nights experience at Disney’s Hollywood Studios in Walt Disney World. 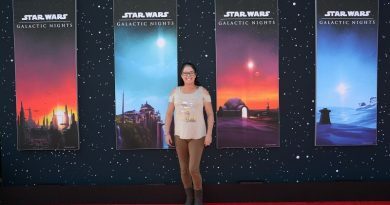 The park seems to be finding better ways to curate a uniquely Star Wars experience for fans of all ages, from character meet-and-greets and photo op-centric scavenger hunts to wine-tasting and gastronomic adventures taken straight from the galaxy far far away. Returning favorites included the reskinned Rockin’ Roller Coaster with Star Wars imagery and John Williams music and the Galactic Destinations light projection on Tower of Terror. 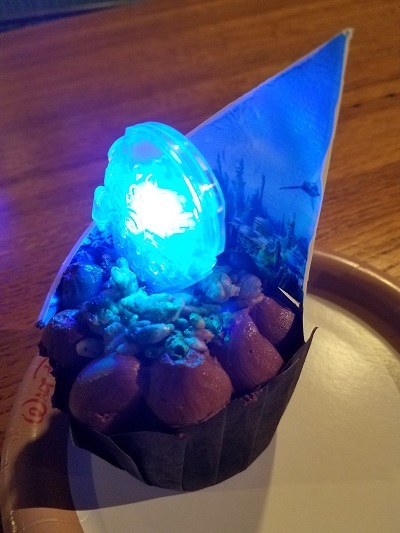 The extent of event-exclusive merchandise was reduced in favor of an expansion in the variety and locations for the specialty food and beverage treats for Star Wars fans. 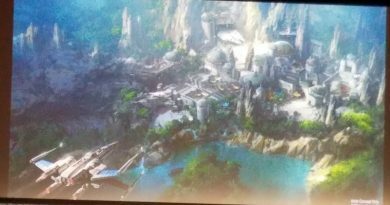 The highlight of the evening was a sneak peek at the largest land expansion in Disney Parks’ history during the “Inside Star Wars: Galaxy’s Edge” panel. Host David Collins (The Star Wars Show correspondent, Celebration Stage convention host, Skywalker Sound) led an enthusiastic group of Walt Disney Imagineering heads: Scott Trowbridge, Portfolio Creative Executive; Eric Baker, Creative Director; Jon Georges, Executive Producer; and Margaret Kerrison, Managing Story Editor. 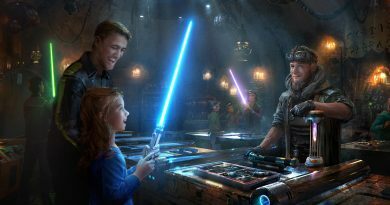 Kerrison has the dream job of overseeing the story direction to “create an authentic, compelling, and interconnected galaxy” in working collaboratively with Imagineers and Lucasfilm. Her previous work includes Hyperspace Mountain. By the end of the panel, it was very clear that Galaxy’s Edge will be the means by which fans will create their Star Wars adventures, not just through the rides but in the dining and shopping experiences. One ride will put fans at the controls of the Millennium Falcon for an adventure beyond Batuu and into space. Fresh off the premiere of Solo: A Star Wars Story, the iconic ship earned a cheer from the audience. The panel spent more time sharing new information on the other ride, which puts fans in the middle of a battle between the Resistance and the First Order. 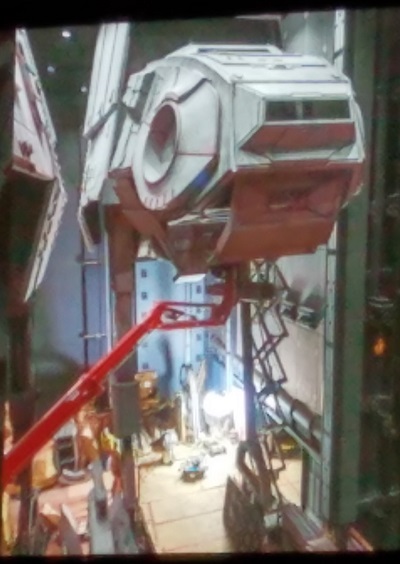 The ride will include two full-size AT-AT walkers to create the maximum verisimilitude in the attraction. The construction photos for the walkers reinforce the sense of scale and power created by building the AT-ATs in real life. Other photos showed a full-scale, battle-scarred Resistance troop transport that appears to be the gateway for the ride. A consistent theme of the panel’s discussion was the Imagineers’ commitment to authenticity in creating and building Galaxy’s Edge. Even the smallest details are given serious consideration. To accomplish this goal, the team has truly traveled the world to find all of the right elements, from fabrics purchased in India to scavenged parts from an airplane junkyard. 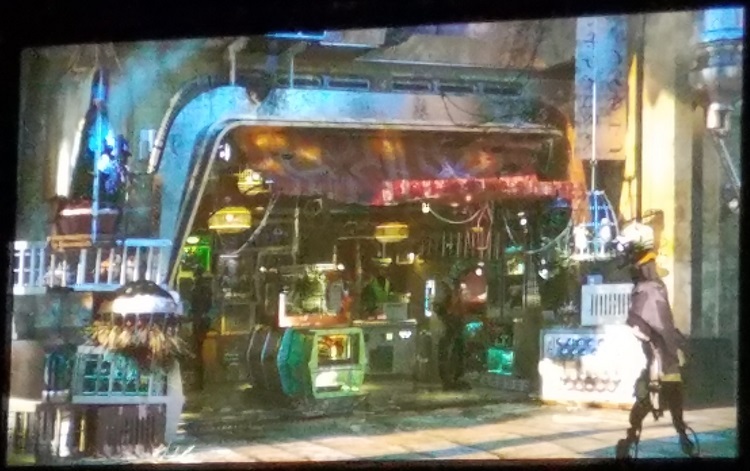 Kerrison talked about the decision to make Nien Nunb a familiar character included in Galaxy’s Edge. 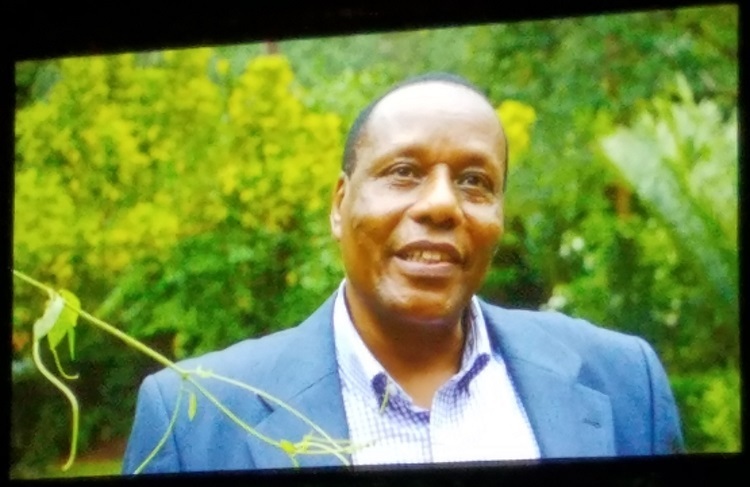 For years the original voice actor, Kipsang Rotich, a graduate student at the time, had returned to his native Kenya to pursue his career; knowing that Lucasfilm had tracked him down to record Nunb’s brief appearance in The Force Awakens, the Imagineers were determined to obtain a full panoply of dialogue from him for use in Galaxy’s Edge so that the character would be portrayed in perfect form. The emphasis on Star Wars as a global brand and fandom was apparent throughout the panel. 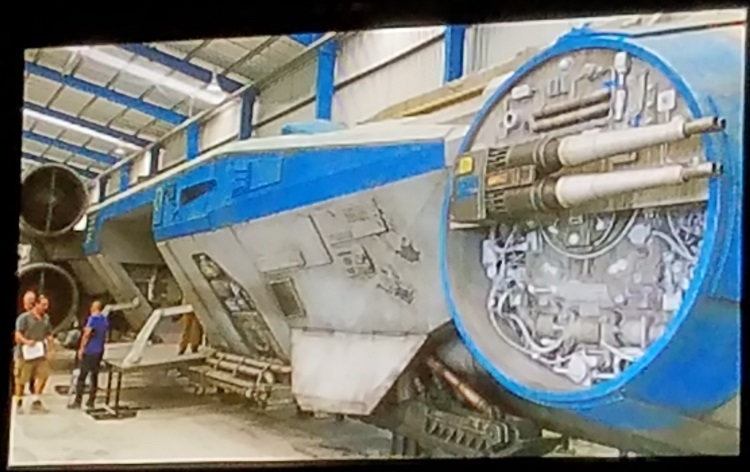 The panelists also gave more updates on the authenticity of the other features of Galaxy’s Edge. The December panel had discussed the toy vendor and the in-universe toys that would be sold. 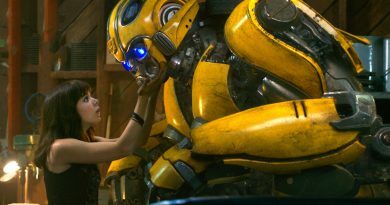 This time, the Imagineers opened up about the living creatures that fans will encounter. Behind-the-scenes photos showed designs and models for a variety of animals. Just as fans can purchase a shoulder-riding banshee in Pandora at Animal Kingdom, a visit to the Galaxy’s Edge pet vendor might result in the purchase of a Lothcat or similar cutie to bring home. 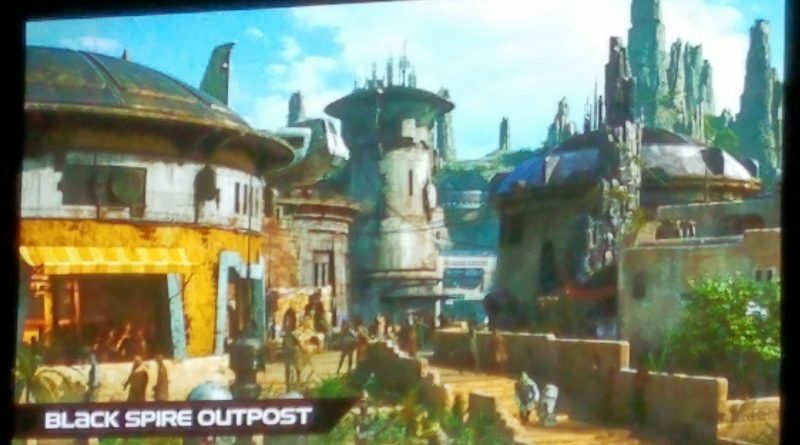 The panel concluded with one additional revelation: the name Black Spire Outpost for the settlement on Batuu where the stories in Galaxy’s Edge take place. 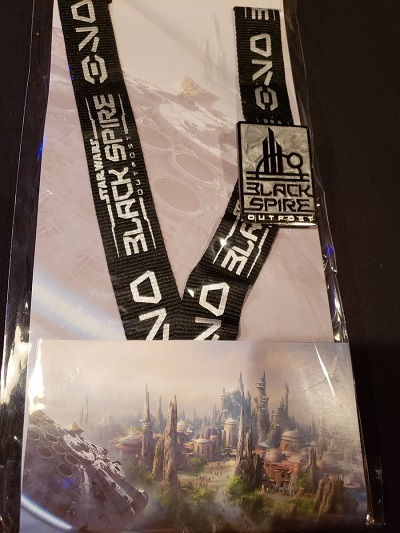 Kerrison explained the backstory lore that the Imagineers had crafted for the name: Batuu’s petrified trees created the planet’s spires, but the black coloration of one of larger spires had made it an easily identifiable meeting spot. Much like a castle serves as the central hub of many Disney Parks, the Black Spire is the locus for the outpost – and for potential encounters with the shady characters who frequent the frontier world. Trowbridge announced that guests would be receiving the final three Galaxy’s Edge trading cards upon exiting the park; when combined with the six cards from the previous Galactic Nights, fans could see a full map of the outpost and the text of a poem that fans familiar with Aurebesh quickly transcribed. The panel reiterated the intended opening of Galaxy’s Edge for summer 2019 in Anaheim and late fall 2019 in Orlando. 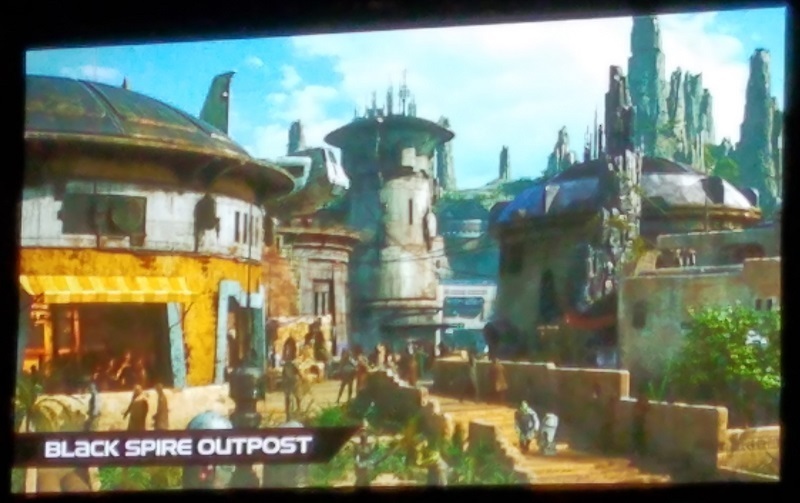 A few days later, the Disney Parks Blog shared a brief update on the immersive Star Wars hotel, and as expected it is being constructed immediately south of Hollywood Studios to enable guests to make direct access from the in-universe storytelling of the hotel into ongoing adventures in Black Spire Outpost. Soon after, fansite WDW News Today reported on information suggesting the early stages of implementing measures to ensure manageable crowd size in Anaheim. They also have published intriguing reports on Disney’s patent filings, which hint at a virtual narrative system, augmented-reality lightsabers, and wireless charging for autonomous droids as projects in development for use in Galaxy’s Edge or the hotel. Since 1977, Star Wars has engaged so many people into becoming, and remaining, fans of the franchise by inspiring them to tell their own adventures in the galaxy far far away. Galaxy’s Edge is preparing to take that longstanding impact to a whole new level.